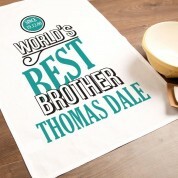 A fantastic gift idea with a personal touch for the special brother in your life. 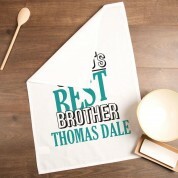 He will love to show off such a unique and thoughtful gift in his kitchen! 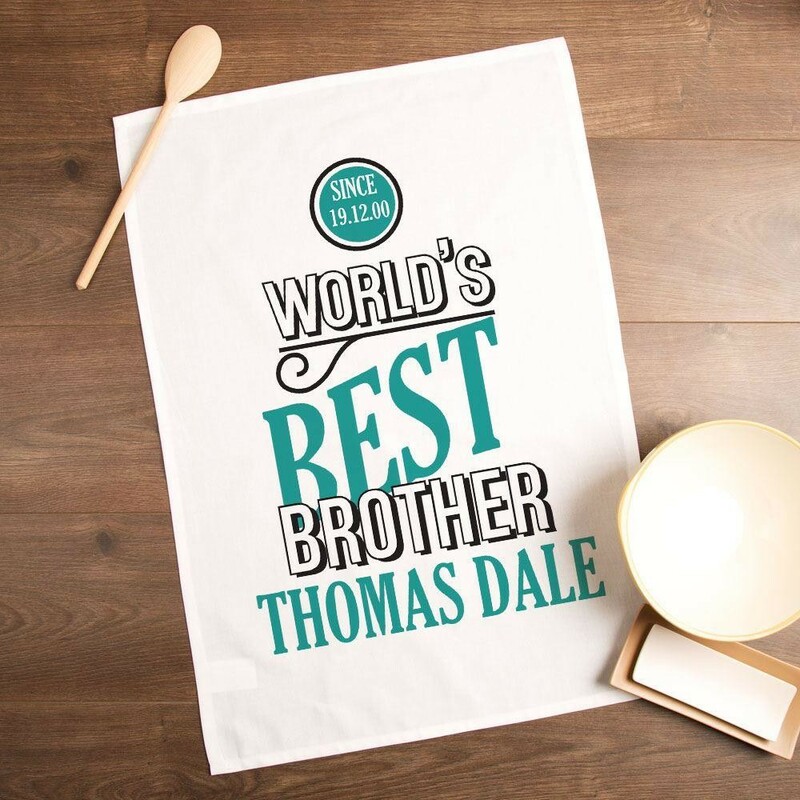 Our stylish tea towel design features the message: “World's Best Brother”, followed by his name in bold black and teal lettering. It even includes a special date in a circular badge at the top of the design, making it truly a one of a kind gift. The cool colour combination and stylish layout will suit any kitchen's décor. We think this timeless and handy gift idea makes a wonderfully unique present for someone on a birthday or at Christmas – but it will suit any occasion. The recipient will love to show it off when they are entertaining guests, and it is sure to be a conversation starter! Our tea towels are carefully designed, personalised, printed and packed in house to ensure the best quality. A one of a kind gift with a personal touch.